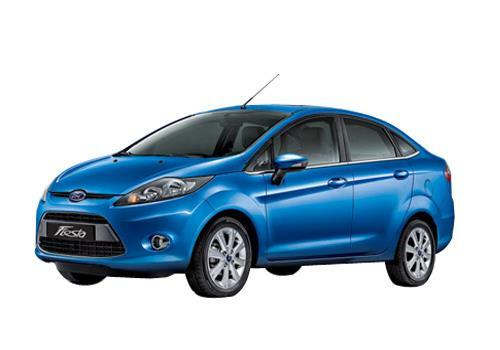 Ford Motors will soon be recalling around 2.62 lakh Ford Fiesta sedans following an in operational side airbag. The Fiesta’s produced during the November 3, 2009 to September 21, 2012 have been included in this recall and there will be the necessary upgrade in the software program controlling the airbags. As per the release by Ford out of these over 1.54 lakh Fiesta’s are owned by individuals in US. Reports also suggest that there were stray incidents when the side airbag did not deploy posing threat to the passengers. As of now, the impact of the recall on the Indian models is unconfirmed. Reports suggest that the specialist have investigated infrequent reports of such incidents when the side airbags did not open and have found that when the front passenger seat is empty the side airbag did not open which could lead to injury to the passenger sitting at the rear. The Specialists believe that the airbags should open as soon as there is an impact. Overall, this Ford car is highly safe and even in the case of the worse of impacts, the occupants remain safe. Ford will be carrying out the repair free of cost and it will soon convey all the car owners regarding the recall and the dates on which the recall will be scheduled. During the recall, the car maker will be making changes to the software that control the side airbags and it will be reprogrammed to open even if the front passenger seat is empty. This recall has given a new dimension to the impact response system of cars and even other car makers that have deployed a software that will trigger the side airbag only if the side passenger is on seat will also make necessary improvements to their airbag software of the car. The major reason for purchasing the diesel Fiesta was the mileage, but it has been up to the mark in terms of mileage.